Coffeehouses are special places. “Reviewing” them is, therefore, almost heretic. The initial review of cafes in Old Town Alexandria started off with Misha’s Coffeehouse and Roaster. And now, the second installment of coffeehouses in Old Town takes us to a space I have been meaning to visit for a while: M.E. 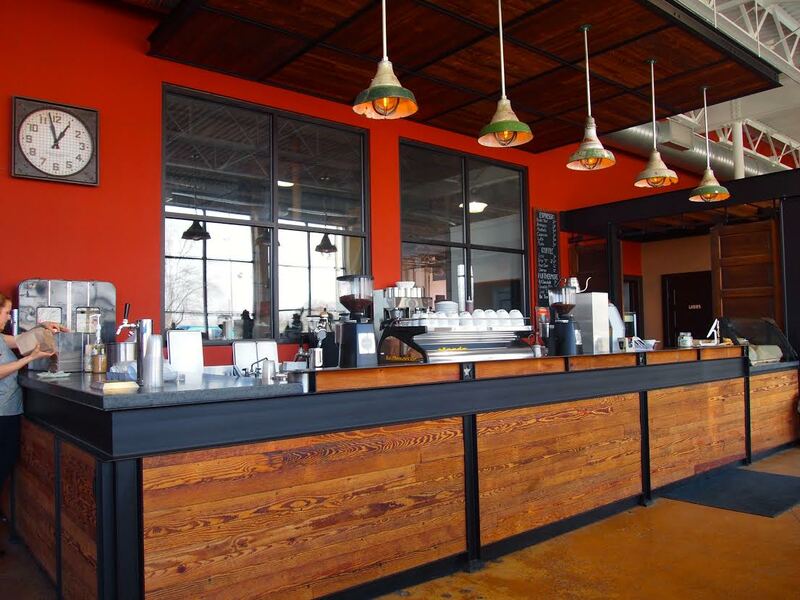 Swings’ coffee bar and roasting facility in Del Ray. Established in Washington, DC in 1916, M.E. 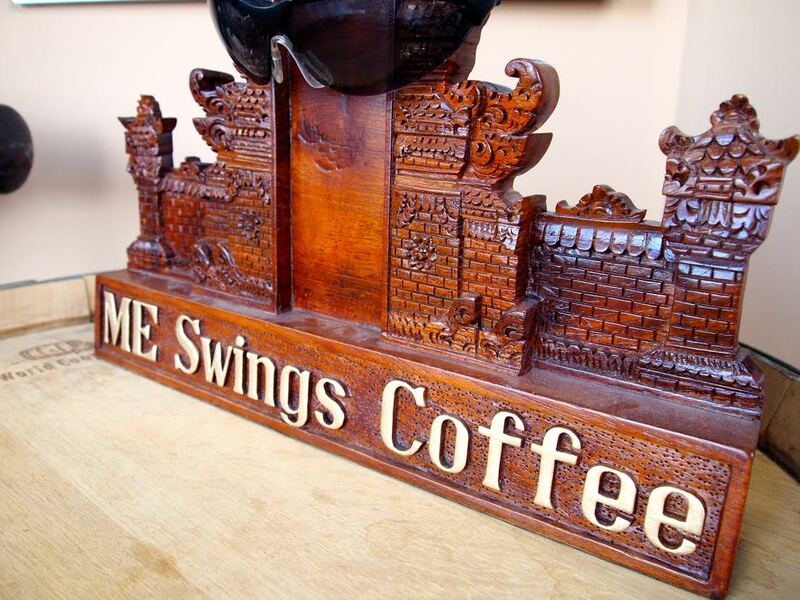 Swings became a neighborhood charm when it opened the now historic Mesco Coffee Roasters building at 1013 E Street, decked with hand-crafted mahogany interior and bright red, wooden coffee bins. In addition to crafting hand-dipped chocolates, Swings roasted fresh batches of coffee every day with a German roaster, permeating downtown DC with the smell of roasted coffee beans for 70 plus years. I first became acquainted with Swings through their coffeehouse on G Street. 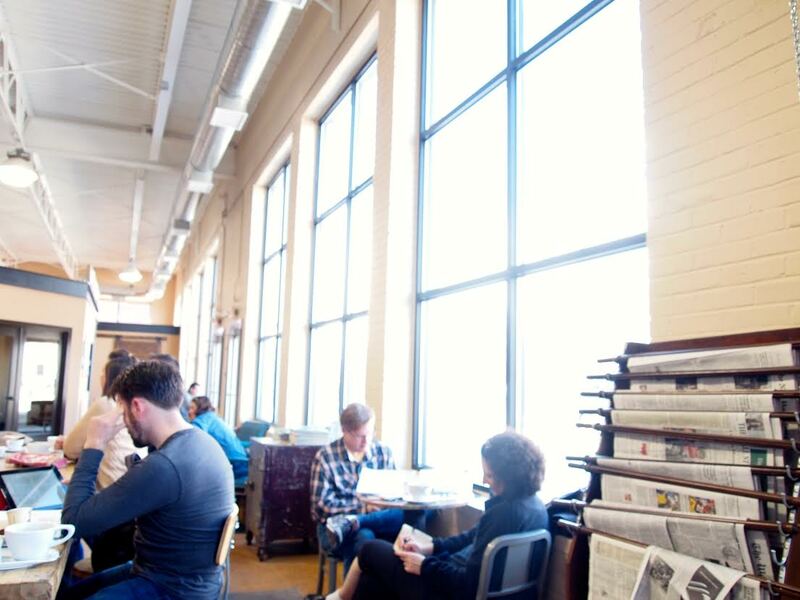 Located across from the Old Executive Office Building, the G Street coffeehouse is filled with the original mahogany and mirrored fixtures, vintage burr grinders, wooden coffee bins, and counterweight scales that were part of the legendary Mesco Building on E Street. When I heard that Swings opened an expanded roasting facility, along with a spacious coffee bar, in the Del Ray neighborhood in May 2013, I was intrigued to see how Swings would portray its rich history in a new space, a new block. After spending a quiet Saturday afternoon there, serenity is my word of choice. One often associates the coffeehouse with conversation, with music, with bustling crowds, with newspapers, with laptops. All of that was present, but I choose to associate Swings’ Del Ray coffeehouse with natural sunlight. The space is bright and airy, and its high ceilings, along with endlessly tall windows spanning an entire wall, are remnants of an old bakery. The mixed use of wood and steel was a unique aspect of the space. The coffee bar itself and some of the tables featured beautiful wood, while other parts of the coffeehouse are riddled with – and supported by – what seems like steel construction beams. 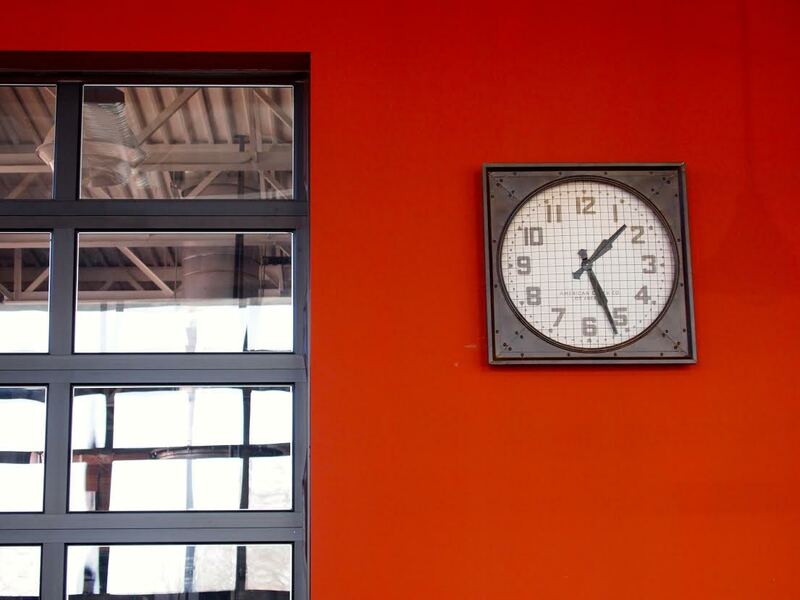 This concoction of wood + steel gives the space an industrial yet natural vibe. 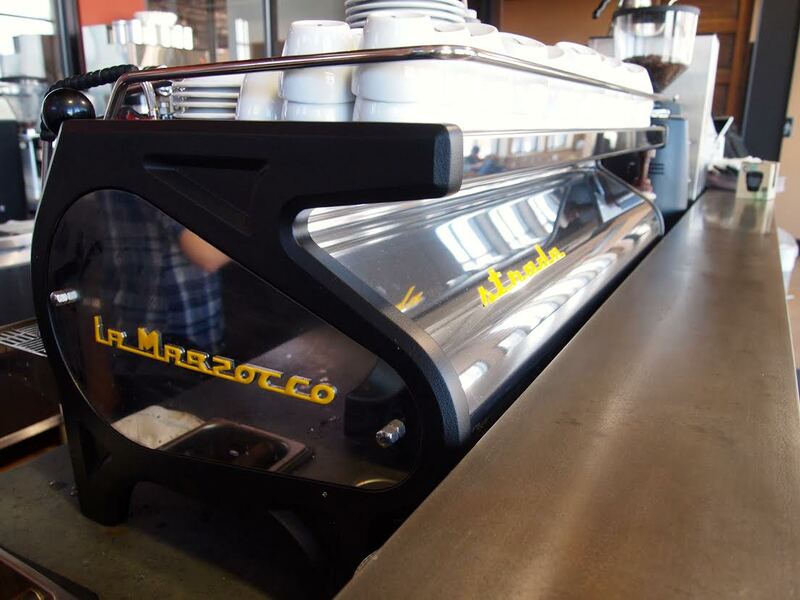 And yet you will also find refined modernity by the presence of a beautiful, shiny La Marzocco Strada espresso machine, front and center. A large “communal” table, two or so smaller tables, and a few arm chairs. That was it as far as seating. 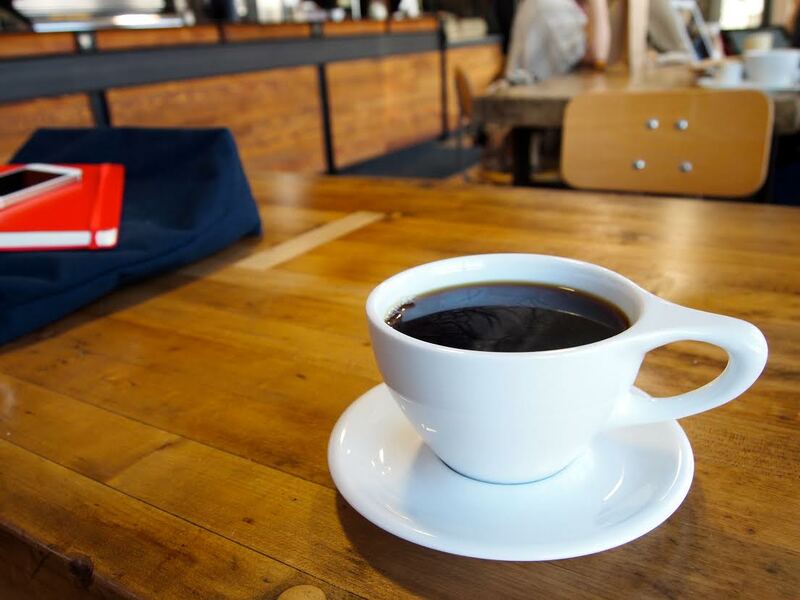 Coffeehouses, at least those opening new spots in the DC area, have taken advantage of larger, “warehouse-like” spaces to create airy and spacious “labs.” These new spaces are not about cramming as many seats as possible within a given square footage. Instead, like good paintings, they fully utilize “emptiness,” and thrive upon it. 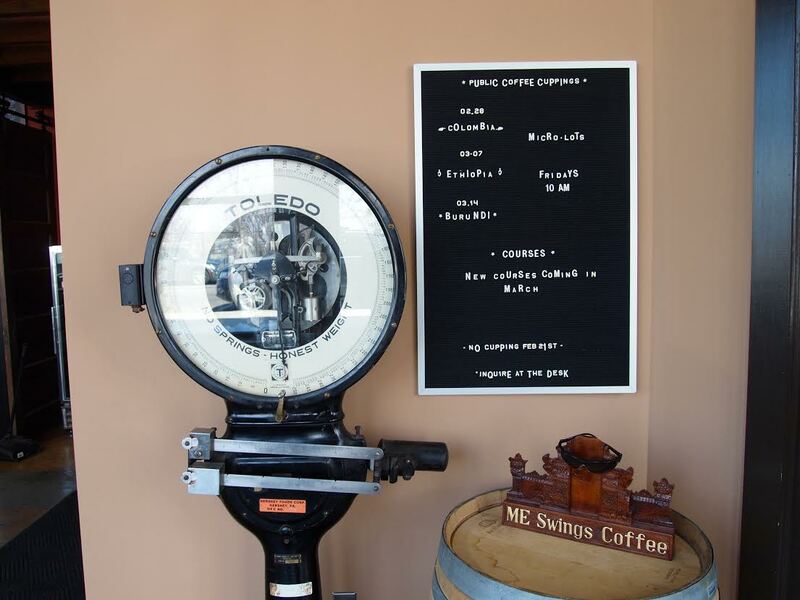 Along with design and atmosphere, an absolute must for a stand-up coffeehouse is – coffee. On that particular day, I had hand-poured Brasil Sertão, a lighter roast with notes of cinnamon, nuts, and lemon. I had a brief discussion with Brian of DCILY about how Swing’s coffee is usually roasted on the darker side, maybe too dark for some. I agreed. But Swing’s may have found an answer in the Brasil Sertão. The coffee was roasted lightly enough so that the natural acidity and sweetness of the coffee came through, and yet it was dark enough that the depth of flavor, especially the nutty cinnamon notes, was still present. Delicious. To go back to step one, serenity is my word of choice to describe this Del Ray spot. A coffeehouse has many ways to “speak.” It may speak through its baristas, its patrons, its music, its design, its furniture, and of course, its coffee. But a coffeehouse may also speak through its emptiness. Emptiness speaks volumes, perhaps even more so than any other aspect of a coffeehouse. In a world where restaurants and cafes alike fight to see who can cram more seats (and turn them over faster) into limited and pricey square footage, being able to discern the flooring at Swing’s and notice the natural sunlight bounce off of it was a serene experience. Only in relative emptiness did I truly find a fulfilling coffee experience. Always good to come across other lawyers and law students. Just don’t give in! Right, machines can take coins and spit out coffee as well. One walks into a coffeehouse expecting an experience.